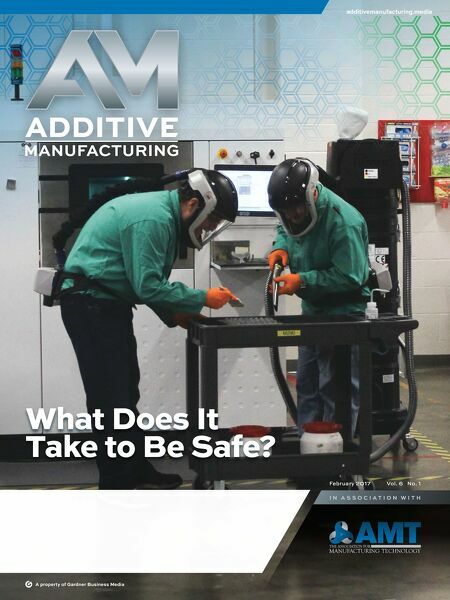 ADDITIVE MANUFACTURING is the magazine devoted to industrial applications of 3D printing and digital layering technology. We cover the promise and the challenges of this technology for making functional tooling and end-use production parts. A property of Gardner Business Media additivemanufacturing.media I N A S S O C I A T I O N W I T H February 2017 Vol. 6 No. 1 What Does It Take to Be Safe?